Vivian Im is a South Korean poker pro who only took up the game of poker in 2008. Since then, she has established herself as a respected player on the Asian tour, with most of her results coming in APPT and ACOP events. Former teacher, Vivan Im has been introduced to the world famous game “Starcraft” by the no less famous Betrand “ElkY” Grospellier, and, seeing how much money he made playing poker, she started playing Poker herself and proved to be a fast learner. Vivian Im first cashed a live event in 2009 when she finished 15th place in the APPT Macau for USD$16,643. Multiple four figure scores followed, until November 2010, when Im became the first female to win an APPT Main Event, in Cebu, for USD$134,142. This spectacular victory was quickly followed, just a few months later, by 2nd place in the Red Dragon Event, at the Macau Poker Cup. In October of that year, she also added a further USD$22,102 to her cashes with 3rd place in an ACOP side event. In the three years that followed, Vivian Im drifted away from the spotlight a little, but always kept four figure scores flowing in. November 2015 saw her bank USD$15,082 for another 3rd place in an ACOP side event, bringing her total career cashes to over USD$380,000, and elevating her to 6th on South Korea’s all time money list. 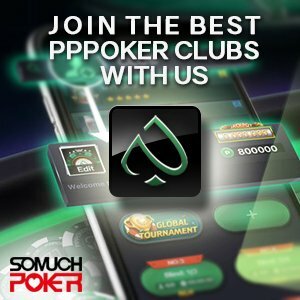 Vivan Im is now a member of the Poker Star Pro Team.